First of all be bent upon the goal – to get the website listed in an organic list. For this one has to begin from the basic. This includes having a good knowledge about how search engines work. Go here. Then one needs to understand how a particular website can be optimized using search engine optimization skills. 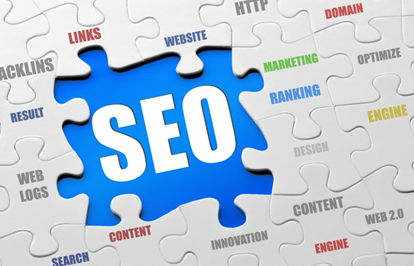 Once a website is well taken up by the SEO master, it’s bound to make it to the top listings. Ingredients for a good website include inserting the correct keywords. For this the words have to be selective and phrases have to be in co – relation with the website. One can make use of 5 – 10 such phrases that best suit the content of the website, and then use them in appropriate places in the website. The next thing is the Title Tag. Title tag is something which offers a brief summary of what people expect from the page. It is often displayed in browser’s title bar for the listing of a website in search engine results. It can easily target a certain section of audience – based upon which ones the website is aimed at. Description Tag is something which is also as important as Title Tag. It is meant to entice people to a particular website. Every page in the site should have a brief description of what the website is all about. Ideally it should be of less than 250 words. Header Tag is the largest or most prominent text on the page. It tells the viewers what they are reading. Page Content comes out to be the next big thing. Whatever information is being spread in the website should be vital. Navigation and Sitemap is something which is essentially something which tells people where to go places in a website. So, it’s best to avoid broken lines. Keep on checking the links to see if they are really working - go here to know more. Image Tagging is something which has to be taken seriously. Images help people to understand a website in a better way. Let them get the cues from an image, so one has to put site centric tags. Link building is the final step which can take someone on the top of an organic list. Good links are always an advantage. Adding good backlinks always help a website, so they have to be relevant and at appropriate places. Making to the top of an organic list is definitely not an easy task, but it’s not impossible. One has just to make sure that the steps are correct.